-- From the Same Issue -- Christmas in Canada and Switzerland SCCC News (December 2018) What is a Blockchain: A Small Insight Legalization of Recreational Marijuana in Canada: New Business Opportunities for Swiss Technology Travel News (December 2018) Ice Hockey in Canada and in Switzerland News About Switzerland and Canada A New Online Information Service for Patients and Doctors, Developed by a SCCC Member Company The Grand Raclette Gala 2018 Switzerland Likes to Tax Differently from Europe What’s the Essence of Modern Leadership? One thing everyone in the world knows about watches is that buying a Swiss watch is the nearest to a guarantee of excellence you can get in today’s world. As an advertisement for Zurich Airlines says “Like shopping for a Swiss watch. Hard to make a mistake. ”Going back to the days of the pocket watch, throughout the foundation of the Japanese watch industry, during the quartz crisis and after the release of the Apple watch – Swiss still means best. But how did that happen? Despite all of the competition in the early days from the French and Dutch watchmakers (who, at one point, were the clear leaders in innovation), the Swiss are the world leaders. Let’s see how that happened. The Swiss weren’t the first nation to make clocks small enough to carry around, that distinction goes to Germany. The first miniaturised clocks which could realistically be called watches were created somewhere between 1509 and 1530 (the earliest known watch was made in 1530) by Peter Henlein in Nuremberg. 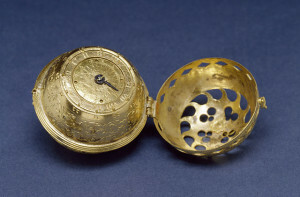 At over 3 inches long, the clocks were portable enough to be worn as items of clothing, but a little too big to fit in a pocket. Being incredibly rare and expensive, they were limited to being owned by the nobility at the time – as no-one else could afford them! The Swiss watch industry started shortly afterwards , as the reformation started to change Western Europe (the religious revolution which started in 1517 by Martin Luther), the French Wars of Religion led to widespread persecution of the Huguenots (French protestants). Many Huguenots fled the persecution in France and entered Switzerland, bringing their clock and watch making skills to Geneva. This influx of skilled refugees helped transform the reputation of Geneva into a city known for its high quality watchmaking. A huge revolution was already underway in Geneva at the time, led by John Calvin. The revolution in Geneva was heavily influenced by the reformation and made it a great place for Huguenots to integrate into the city. This revolution was also a perfect breeding ground for the clocks and watches which were being developed in Geneva. As part of the changes Calvin was making in Geneva, there was much heavier regulation into people’s lives. Despite being well known for the Jewellery which was produced by the skilled goldsmiths in the city, wearing Jewellery was forbidden in Calvin’s Geneva. This destroyed the businesses of all of the goldsmiths and enamellers in Geneva, who steadily turned towards watchmaking. Goldsmiths and enamellers in Geneva, who had the expertise in beautiful design and craft, worked with the skilled Huguenots who had the knowledge and technique to create clocks and watches. Finally, when the amount of regulation in Geneva was relaxed – around the end of the 17th Century, the city was known for its watchmaking expertise. Now that people were allowed to wear Jewellery again, the watchmaking expertise could be paired up with the decorative art that the city was traditionally known for. In a short time the Swiss watches produced in Geneva were not just known for their skill and quality watchmaking, but also for their beauty. Of course, at this point, despite a good reputation – Swiss watches were not yet the standard by which all other watches would be judged. In fact, during the 18th Century, that label would probably be applied to watches produced in Britain. Pocketwatches were very popular in Britain at the time, the reason for this is usually attributed to the introduction of waistcoats. Because of this popularity, there was a lot of time and effort invested in the development of watches. Developments in manufacturing, including the tooth-cutting machine – which was devised by Robert Hooke, helped increase the volume of watches produced. 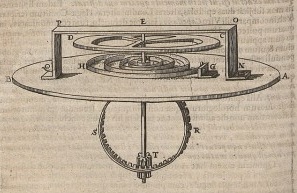 While the inventions of the balance spring (arguably invented in either Britain by Robert Hooke or the Netherlands by Christiaan Huygens), chronometers and the lever escapement helped increase the accuracy and quality of watches. Specifically in Britain, innovations from James Cox, John Harrison and George Graham paved the way for the kind of mechanical movements you see today. We’ll explore the British watch industry and the way the 18th Century innovations impacted today’s industry in a future blog post. Whilst the British appeared to lead the way in innovation around this time, a lot of work was going on in Switzerland. Watchmaking spread across the Jura mountains, where the industry flourished. It wasn’t just innovation and excellence in terms of the watches developed, but also in the way watches were produced. Much of the early innovation in the Jura mountains came from Daniel Jeanrichard, a goldsmith who was the first to apply the division of labour to the watchmaking industry. By using this to increase efficiency and standardisation he was able to increase production volume and quality. By the end of 1790 Geneva was already exporting over 60,000 watches! More Swiss innovations came about over the following years. Abraham-Louis Perrelet created the “perpetual” watch in 1770, this watch was the forerunner to the modern self-winding watch. Adrien Philippe, one of the founders of the well respected brand Patek Philippe, invented the pendant winding watch. The fly back hand was developed in the Jura mountains around this time, too. You also cannot forget the invention of the tourbillon by Swiss-born Abraham-Louis Breguet in 1795 (patented in 1801). One of the most incredible pieces of high-quality watchmaking expertise, although not one which is, or ever has been affordable enough for most people to own! Jean-Antoine Lépine was part of the French watchmaking industry – in fact, serving as watchmaker to Louis XV, Louis XVI and Napoleon Bonaparte. However, his invention helped to create the Swiss watchmaking powerhouse which was set to dominate the industry and almost destroyed the French watchmaking industry. In the early 1800’s the Lépine calibre was adapted to factory production by French watchmaker Frédérick Japy. This development favoured Swiss watchmakers more than it did the French as Swiss farmers and peasants would spend their winter months making watch components for firms in Geneva. As further technology was implemented for mass-production, Swiss watchmakers were able to produce watches at much higher volumes than their rivals. On top of that, the mass-production which was embraced in Switzerland was completely rejected in France. English and French watchmakers were unable to compete with the volume or price of mass-produced Swiss watches. The English watch industry almost collapsed at the end of the 1800’s and the French industry only just survived with a small number of indivuduals creating quality authentically-French timepieces. This article is courtesy of www.firstclasswatches.co.uk. For full article click here.